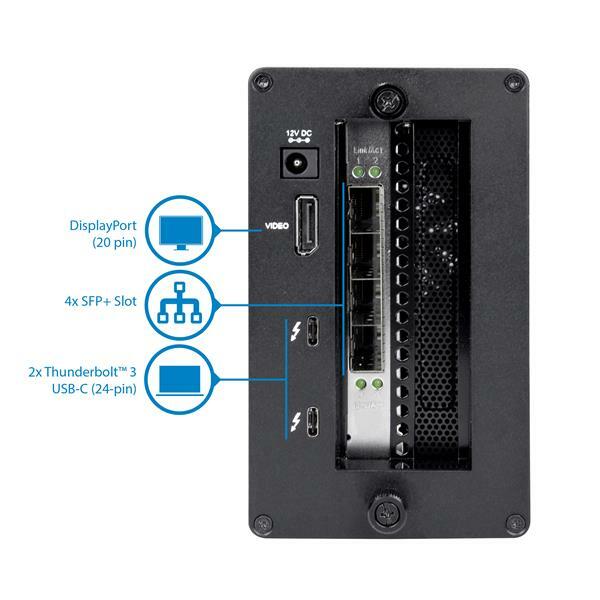 This Thunderbolt™ 3 10GbE NIC adapter lets you connect a Thunderbolt 3 device to a 10GbE network. 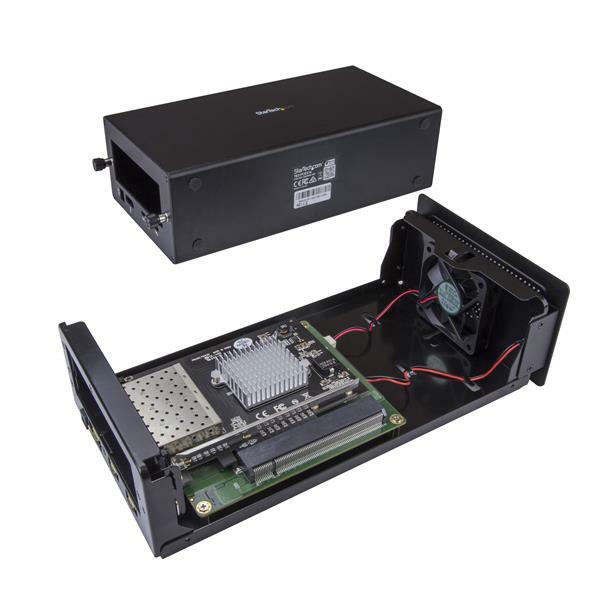 The adapter combines the Thunderbolt 3 technology of TB31PCIEX16 with the 10GbE dual-fiber connection of PEX10GSFP4I (Intel® XL710 chipset). The assembled adapter features one DisplayPort output, one additional Thunderbolt 3 port, and four open 10GbE SFP+ slots. The Thunderbolt 3 10GbE NIC adapter is the perfect solution for your mission-critical operations. 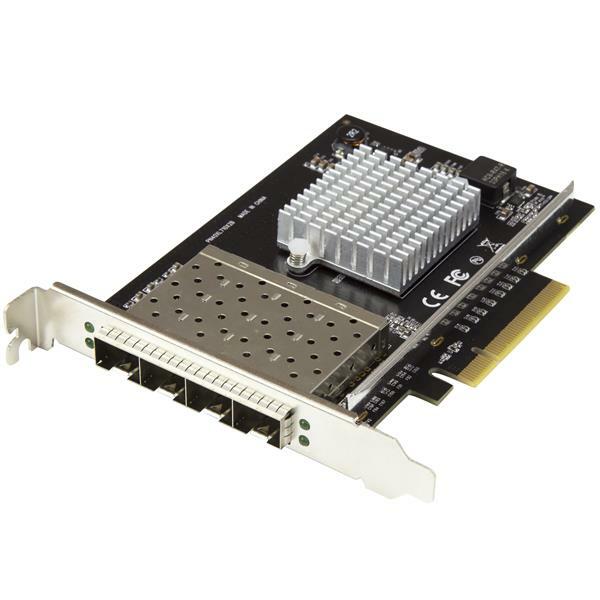 The network adapter supports 802.1Q VLAN tagging for better network management, 802.3ad link aggregation for greater network speeds, redundancy support for network reliability, and four 10G fiber connections through open SFP+ fiber slots, to build a custom setup. Requiring only a Phillips type screwdriver and your choice of SFP, this Thunderbolt 3 10GbE NIC adapter can be assembled and connected in minutes. The Thunderbolt 3 chassis not only pairs well with the 10G fiber network card, the card can be swapped for any PCIe card to help support other functionality and performance. With the extra TB3 port and DP output built into the chassis, you will always have the ability to hook up extended displays to multitask effortlessly. 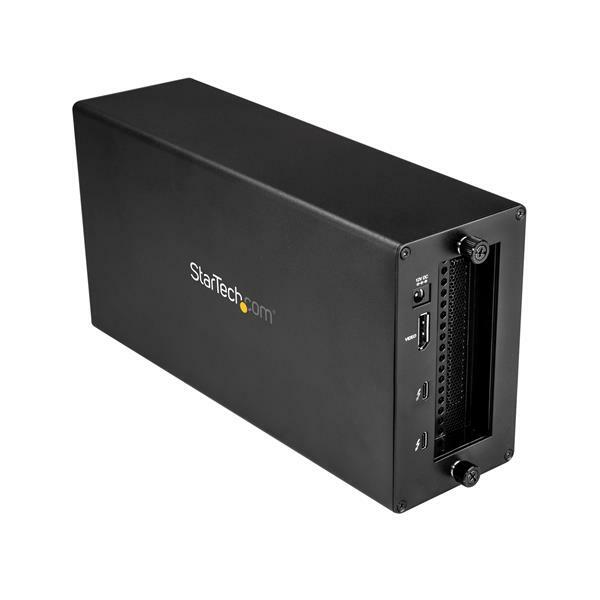 The TB31PCIEX16 and PEX10GSFP4I are backed by a StarTech.com 2-year warranty.